NEW ! - Rooted plant, h=8-10 cm. Leaves have a distinct keel and are densely dotted with small white tubercles. 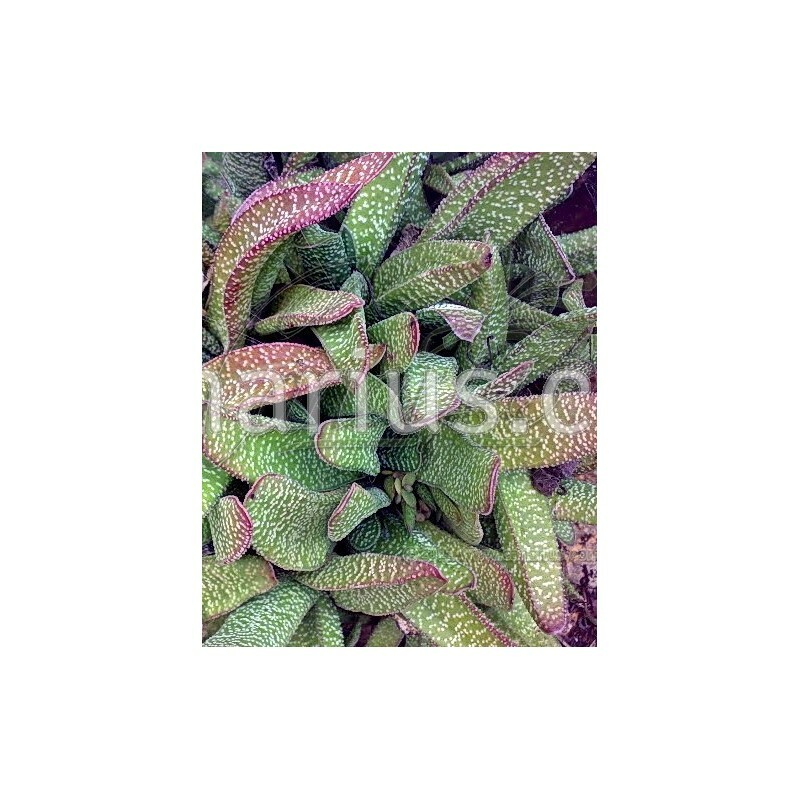 This Gasteria is a hardy plant for Mediterranean climates and can stand short freezes. Leaves have a distinct keel and are densely dotted with small white tubercles. 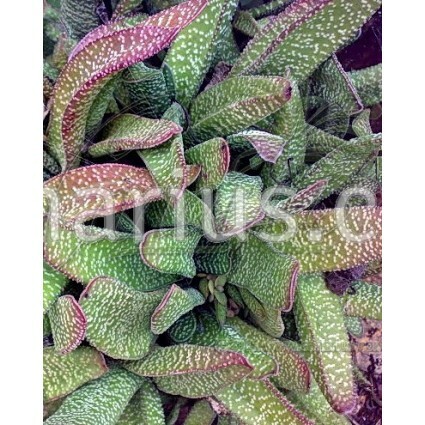 This species of Gasteria is a hardy succulent plant for Mediterranean climates and can stand short freezes. We offer a robust rooted plant, h=8-10 cm. grown in a Cont.= 8,5 cm. Container size will just give you an idea of the size of the plant, because Crassulaceae are sent bare root. These plants are very tolerant of bare-rooting. We ship worldwide.